In a string of meetings beginning next week, European leaders will again wrestle with how to keep Greece from running out of cash, but they almost certainly won't solve the far bigger question of how to cut down the growing pile of debt that is slowly suffocating the country. The consequences are stark. 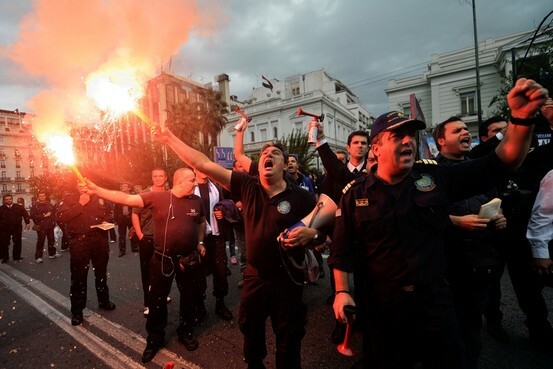 Greece must shoulder a frightful debt burden while suffering an epic recession. The euro zone, which had once hoped to patch Greece up and move along, now faces the prospect of dealing with its problems for years, or engineering a divorce. Europe has choices for addressing the first problem, though none is appetizing. There is almost no political will to decisively attack the latter problem. One option under consideration is a buyback of some debt. But that would only nibble at the edges. Greek debt will be €346 billion ($448 billion) next year, the government said Wednesday. At 189% of gross domestic product, that debt is nearly twice what the government thinks next year's economic output will be. 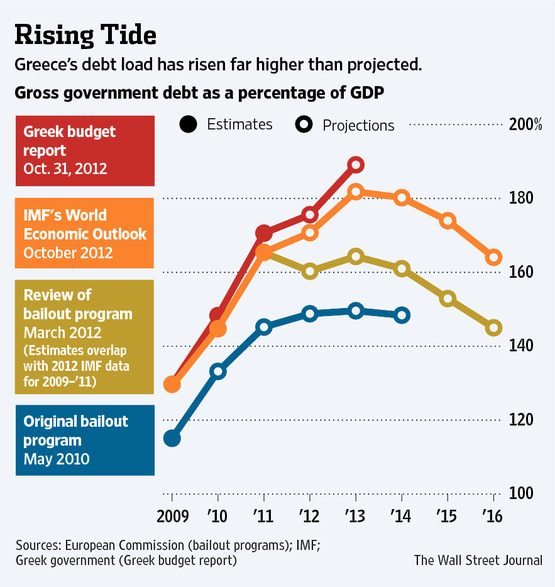 The weight of debt erodes confidence in Greece's government, its financial system and in the economy.